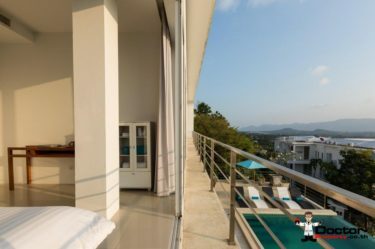 This vil­la offered by Doc­tor Prop­er­ty is a 4 bed­room mod­ern vil­la with pool and panoram­ic sea views look­ing east along Samui’s north­ern coast. A very suc­cess­ful rental prop­er­ty, this is sure to con­tin­ue being an attrac­tive option to those who enjoy con­ve­nience and pri­va­cy dur­ing their stay. This loca­tion is very cen­tral and close to plen­ty of restau­rants, bars and beach­front estab­lish­ments. 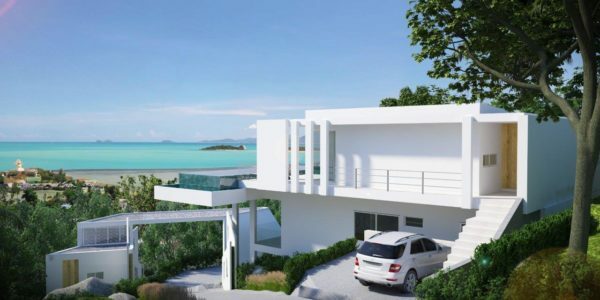 Bang Rak beach is a live­ly part of the island which is see­ing an increase in pop­u­lar­i­ty with new devel­op­ments being built to match. 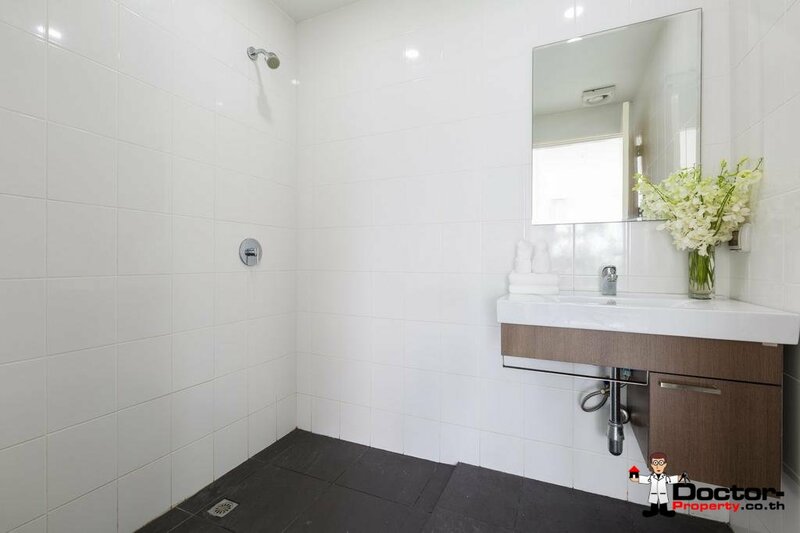 The prop­er­ty con­sists of 3 bed­rooms upstairs, all with slid­ing door access to a shared bal­cony out­side. 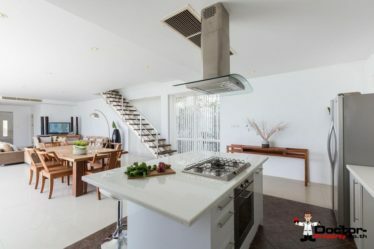 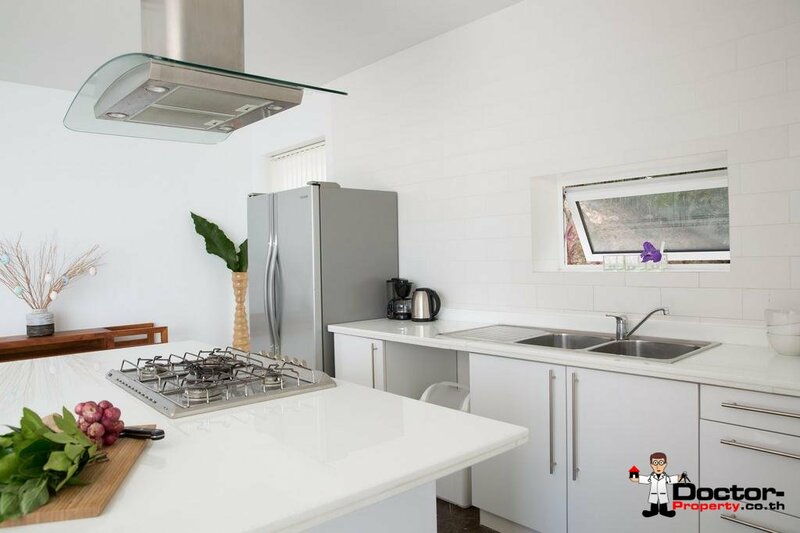 On the ground lev­el the is a spa­cious kitchen/dining area and a sep­a­rate ful­ly equipped open kitchen with cook­ing island and over­head extrac­tion vent. 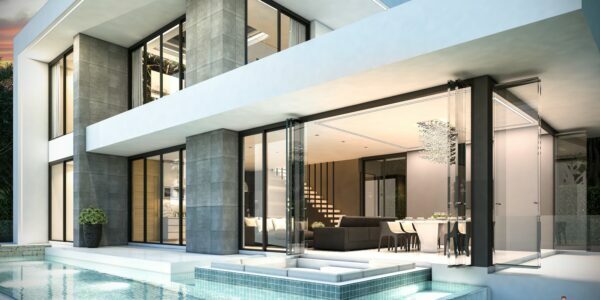 The large out­door deck with infin­i­ty pool and inte­grat­ed jacuzzi comes with all the fur­ni­ture shown. 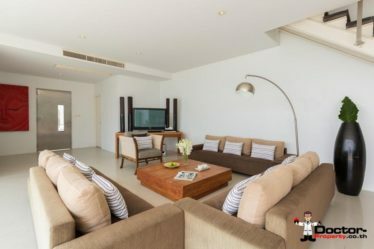 The vil­la comes ful­ly fur­nished and ready for the rental mar­ket or per­ma­nent res­i­dence. 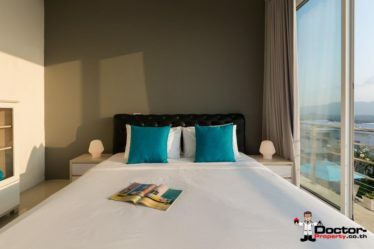 An expe­ri­enced man­ag­ment team is already in place which use Booking.com for the major­i­ty of it’s rental mar­ket­ing. 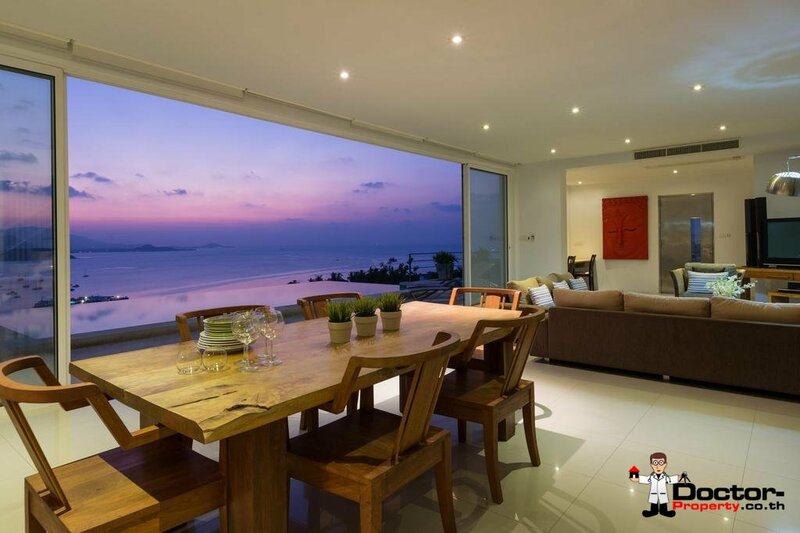 The vil­la cur­rent­ly has a very impres­sive score of 9.3 on the site. 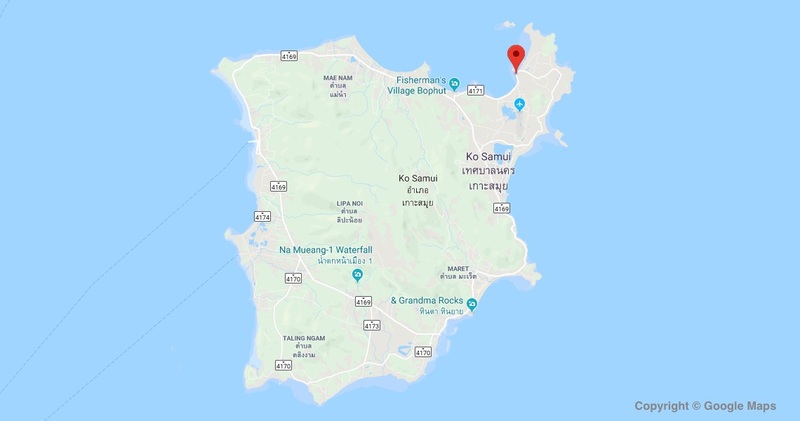 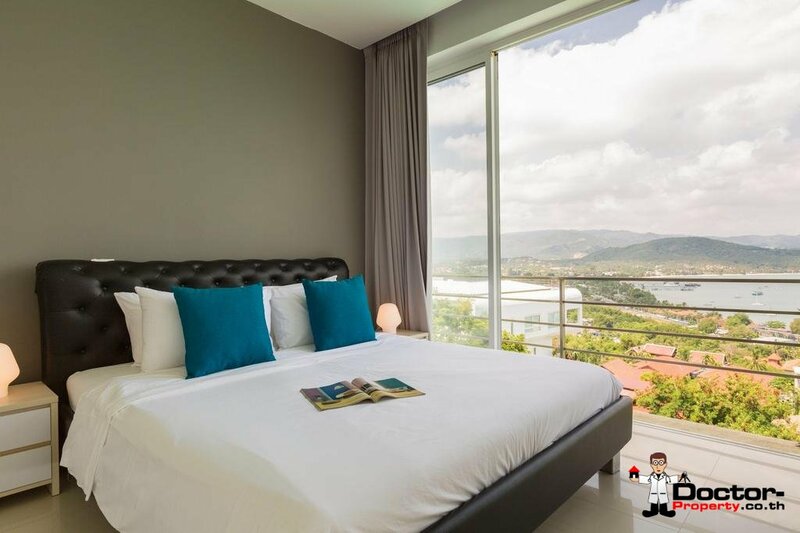 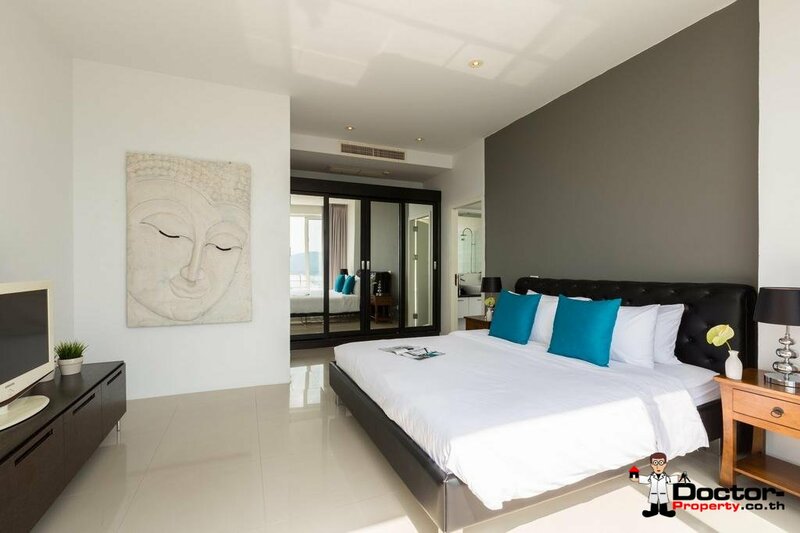 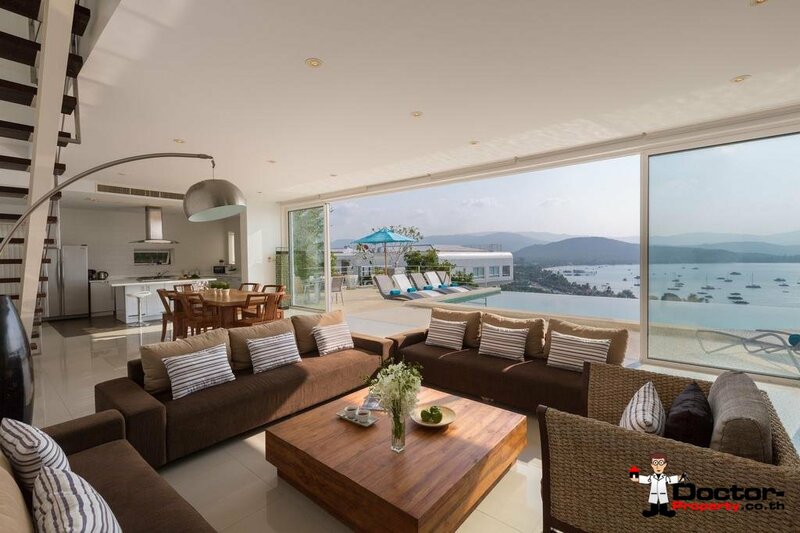 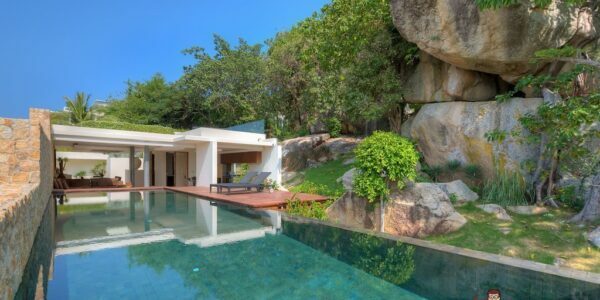 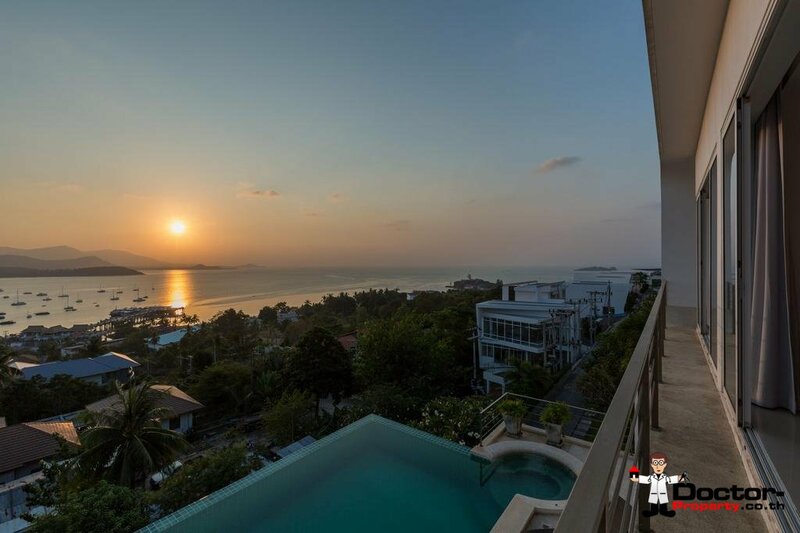 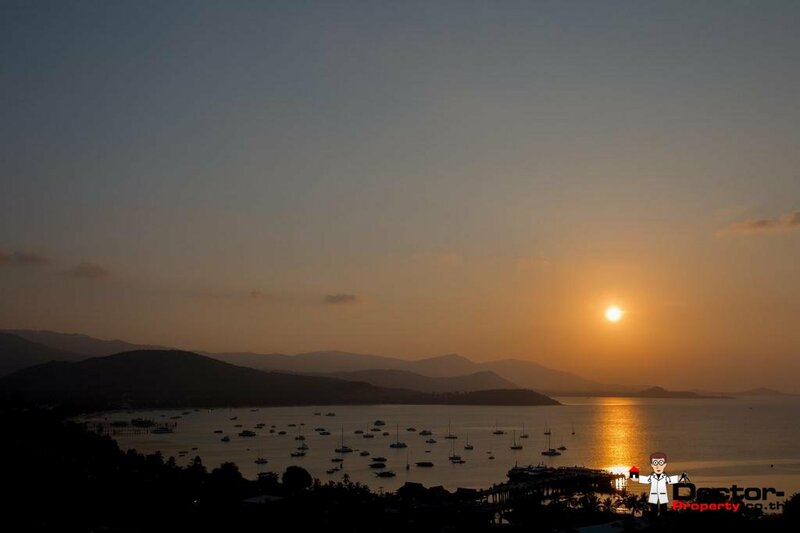 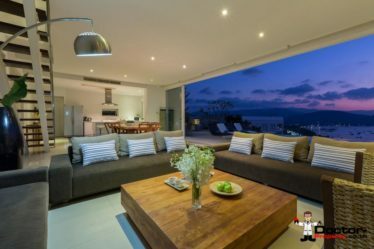 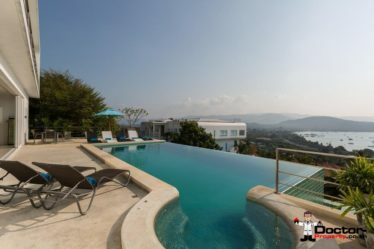 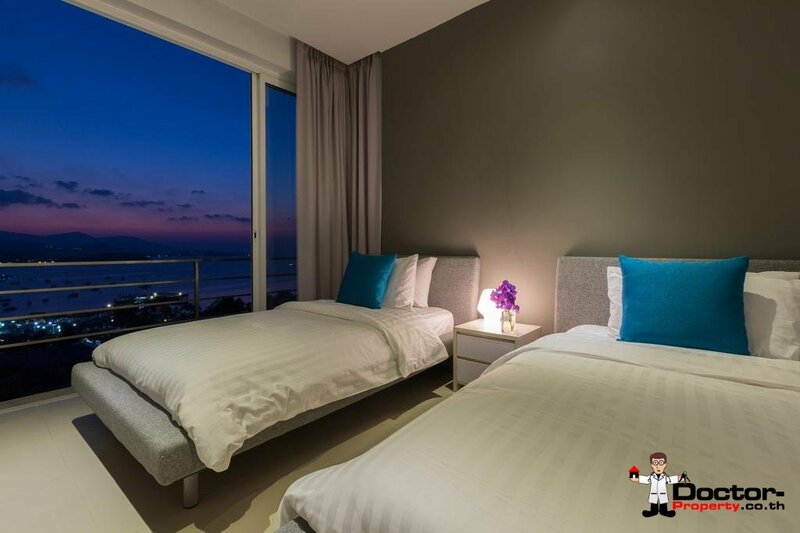 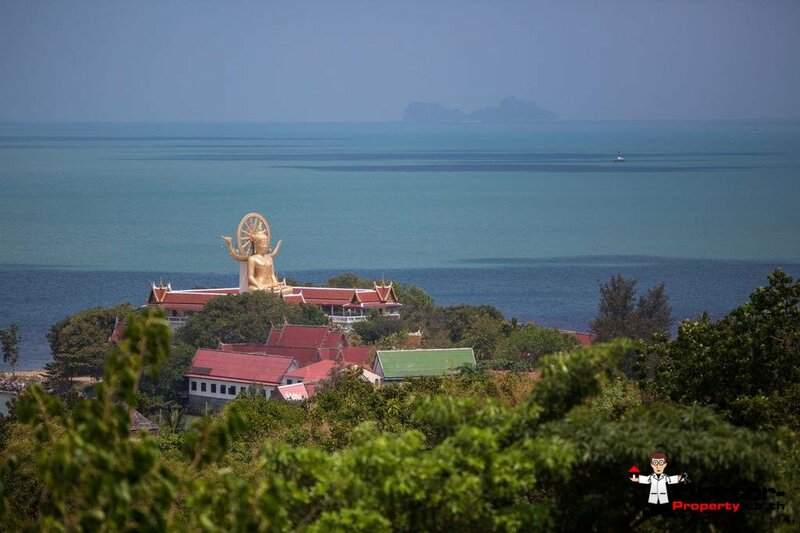 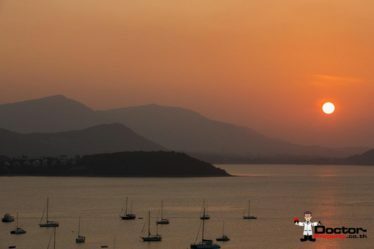 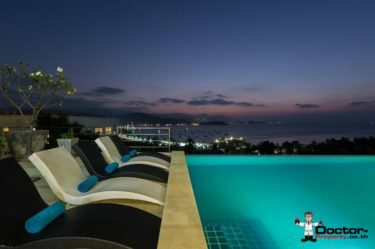 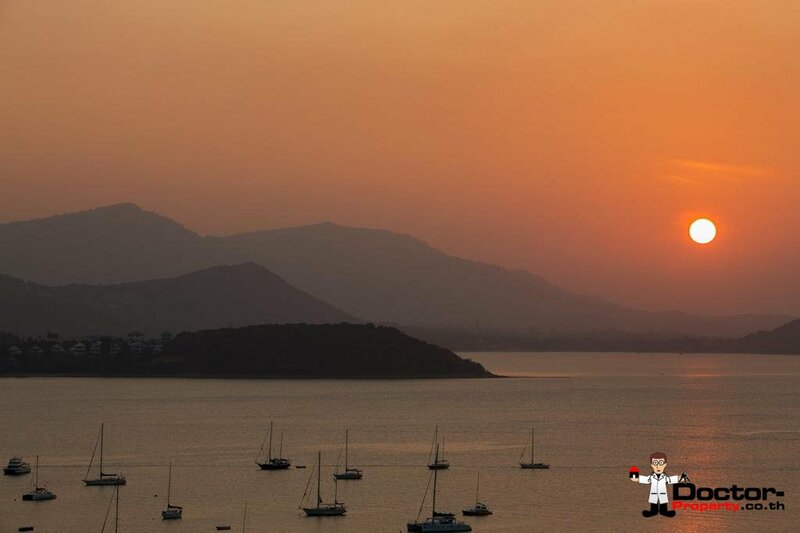 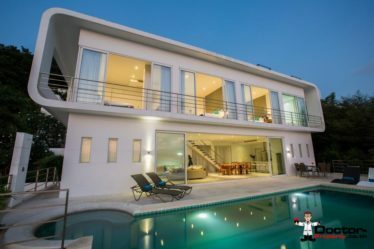 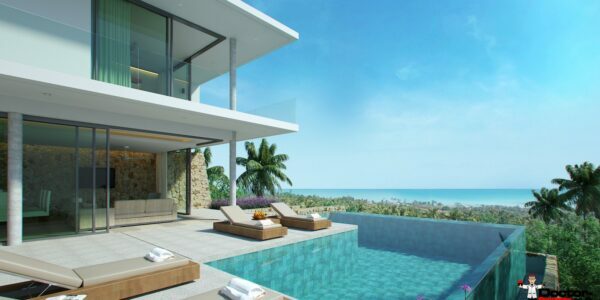 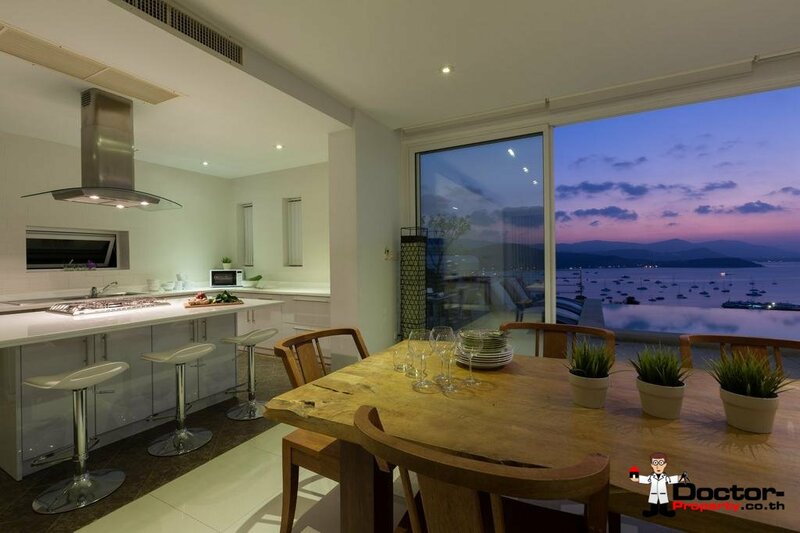 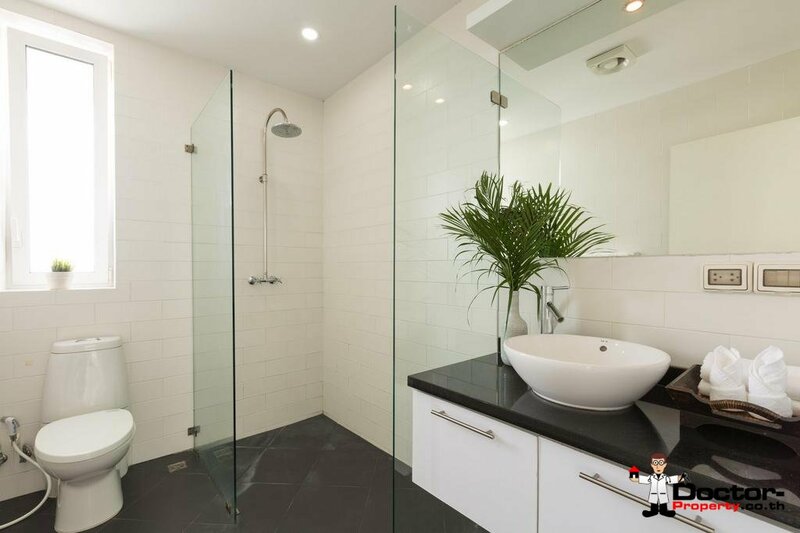 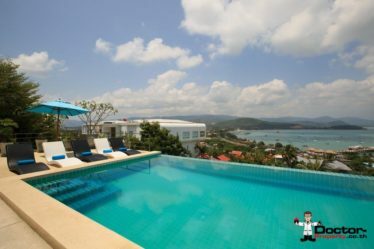 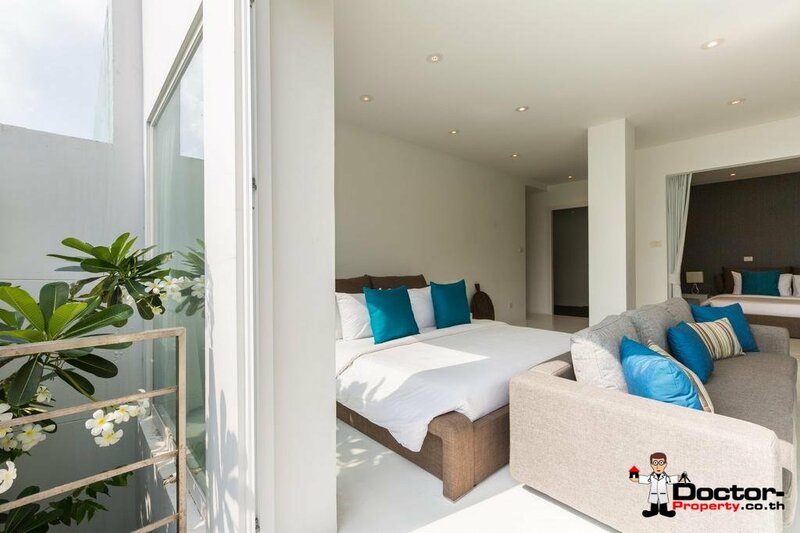 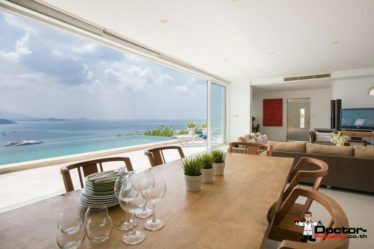 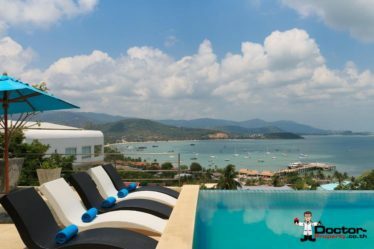 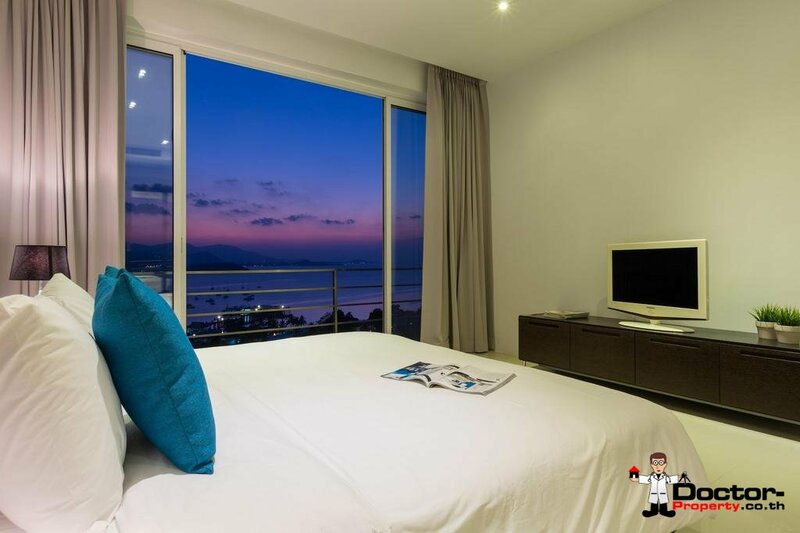 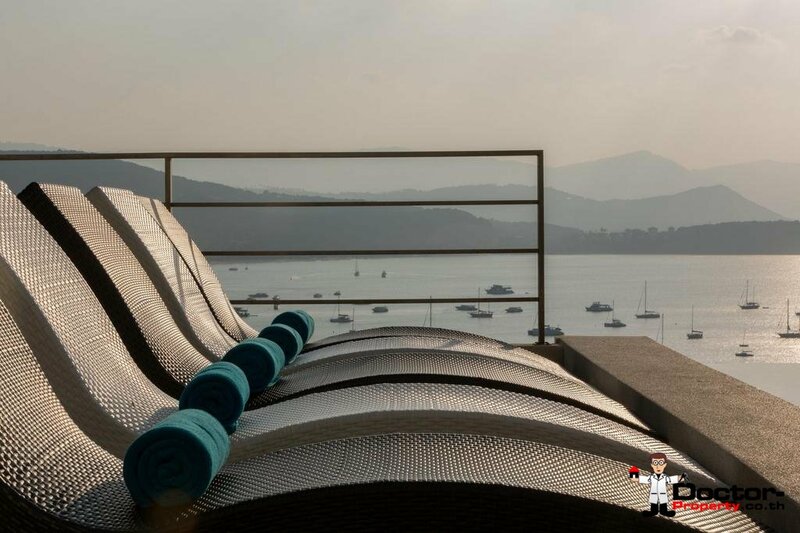 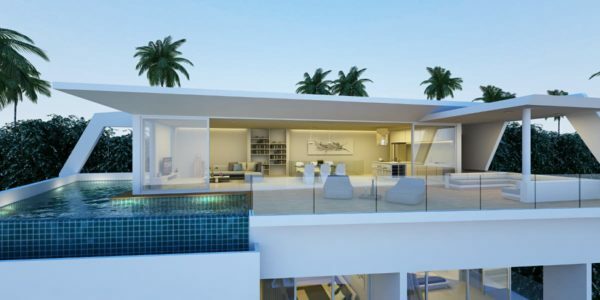 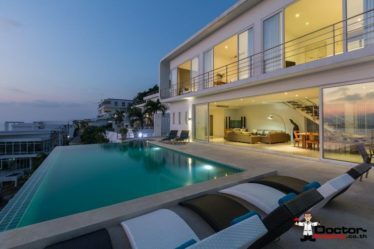 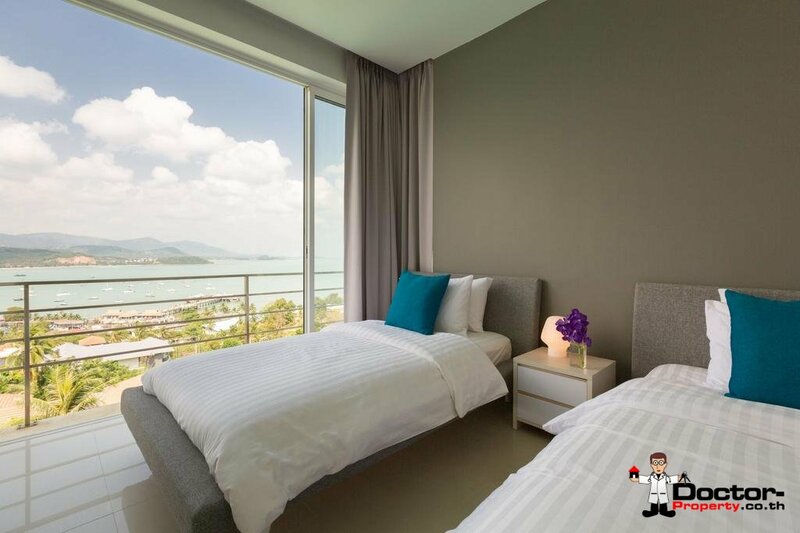 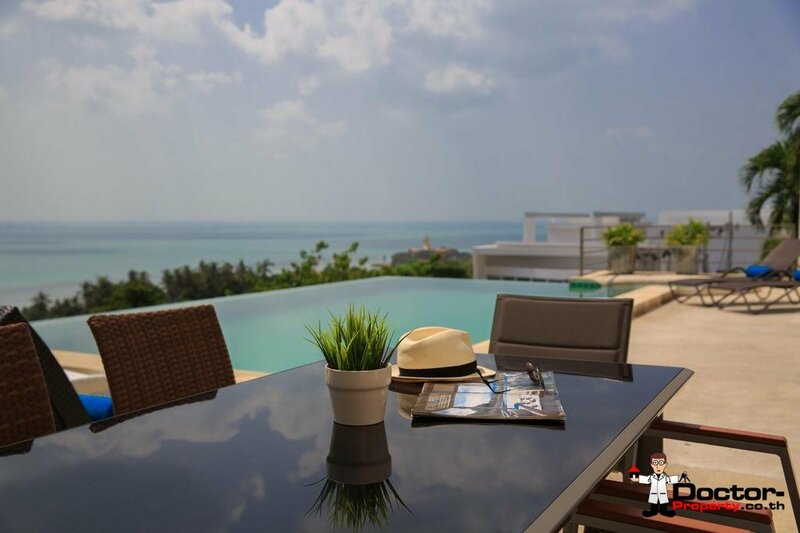 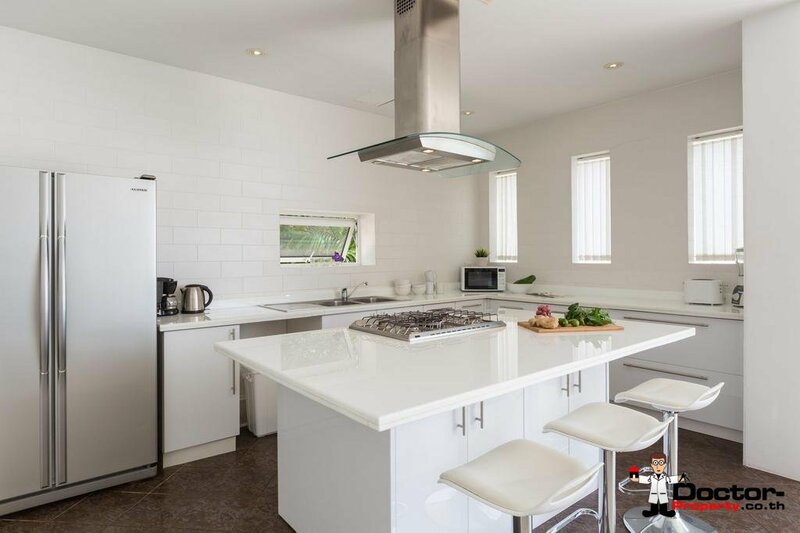 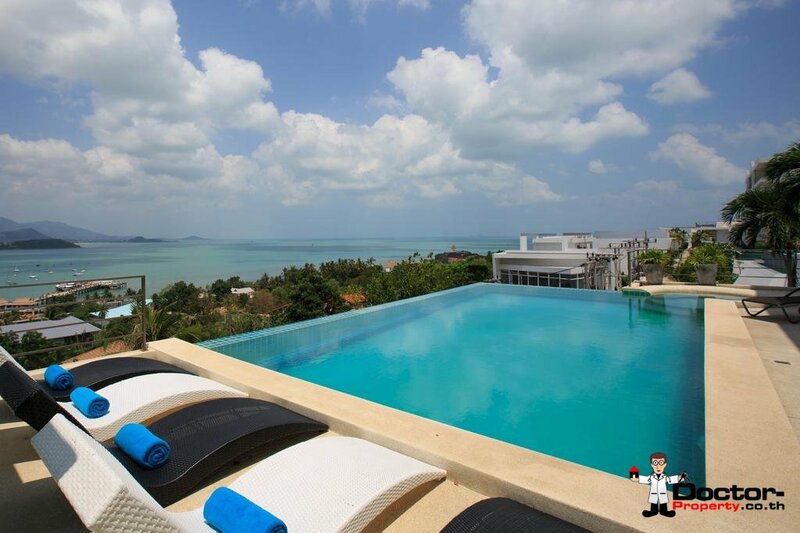 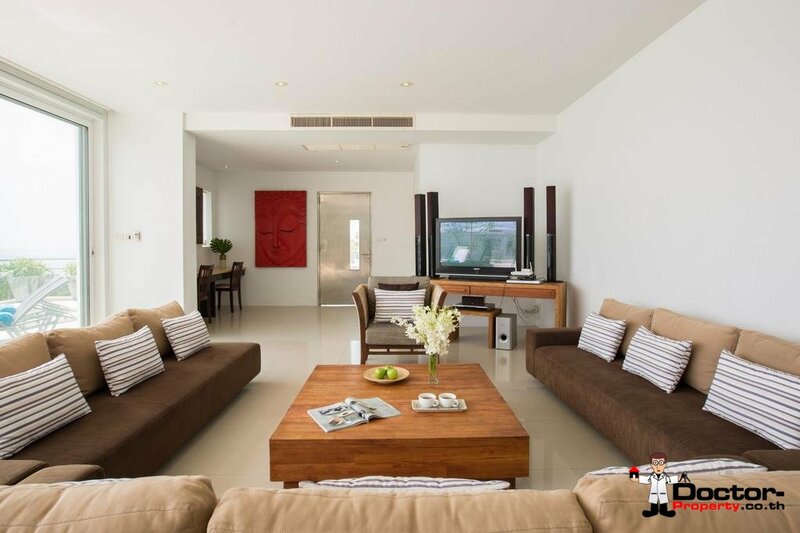 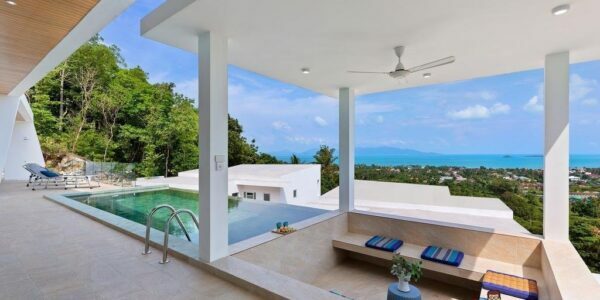 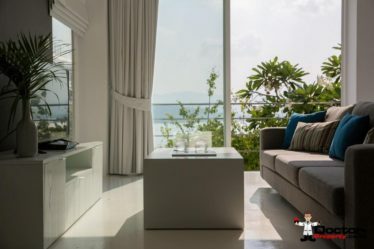 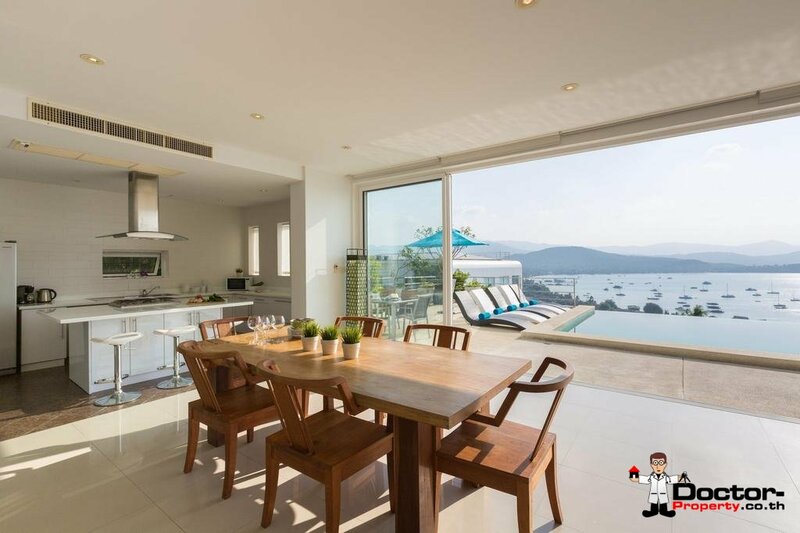 Characteristics: Sea View Villas For Sale Koh Samui, Koh Samui Properties For Sale, Big Buddha, Thailand Real Estate.